Multiple Sclerosis is a disease close to Ryan Zimmerman’s heart. Ryan is a professional baseball player with the Washington Nationals and is also a Virginia Beach native and graduate of Kellam High School. Ryan founded ziMS since his mother Cheryl was diagnosed with MS, a chronic and unpredictable disease that affects the central nervous system. The ziMS Foundation is 100% volunteer based and raises money to “bring home a cure for MS”. 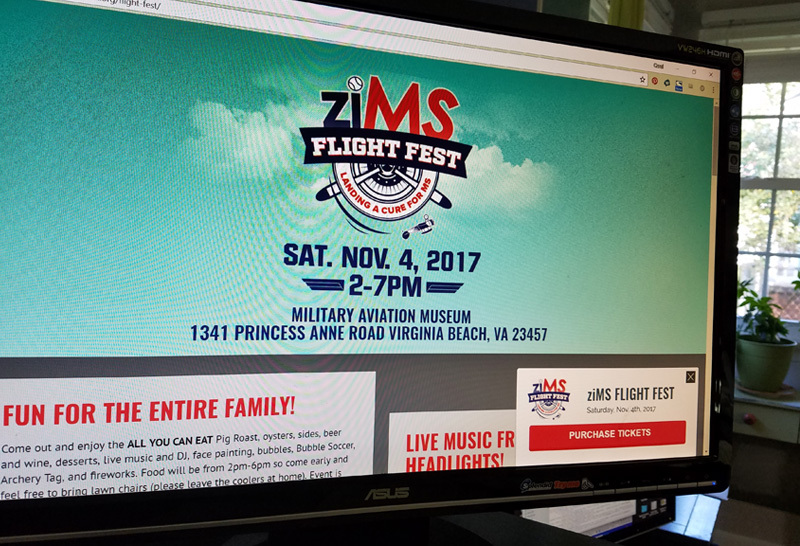 Point Chesapeake on the Bay is proud to be a sponsor of the ziMS Flight Fest Fundraiser on Saturday, November 4th, 2017. This is a fun event for the entire family and will raise money for a great cause! Enjoy all-you-can-eat pig roast, oysters, sides, beer, wine desserts and more. There will be live music and a DJ, plus face painting, Bubble Soccer, Archery Tag and fireworks. Bid on over 100 items at the Silent Auction and check out the museum’s collection of planes.